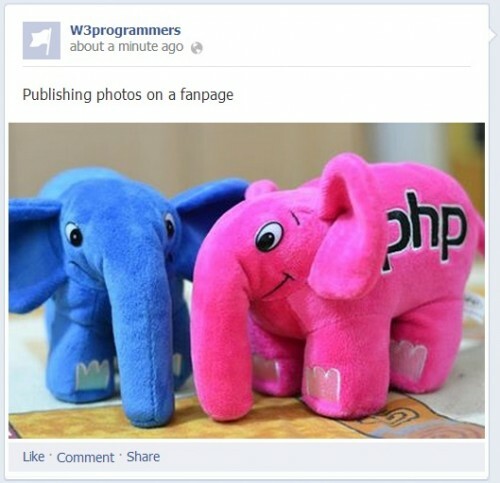 In this article we will learn some tips on how to manipulate posts on facebook through an app using the PHP sdk: posting messages, upload and tag photos , sending photos to fanpage and directly into albums . So you can use the scripts below it takes you to create an application on facebook. If you are unsure of how to create apps for facebook, visit my previous article that deals with this subject. To request permission publish_stream so that the application can publish posts in the user profile. The major fields are message, name and link. See the previous post does not parameterize any images. 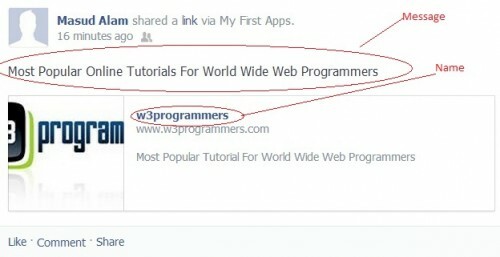 The mechanism of post own facebook chose a “relevant” image contained in informed on the post link. But by the sdk lib, we can determine which will be attached to the post picture. To do so, inform the field picture. Let’s change the previous example source. The only difference here is the field picture that was added. It tells what is the link for an attached image in post. Valley attend here, the picture will not be published on the user’s facebook profile. Is it just included a link to an accessible external image through a URL. See which now define the image that will be displayed along with the post. 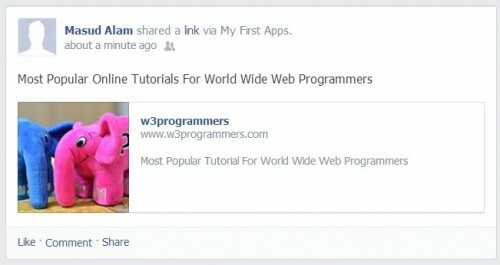 Unlike the previous post that the mechanism of facebook itself chose an image to be attached. Now we will see how to incorporate the posting, a link to the video. 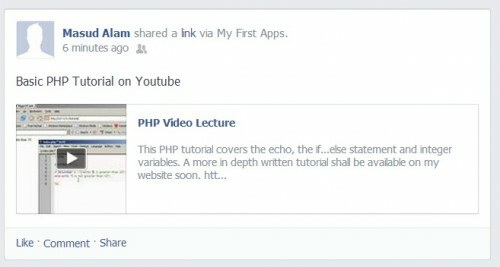 Where is a link to a video on youtube:PHP Tutorial # 1 the video has gotten lots of views thanks to the https://www.socialmediadaily.com/youtube/gain-subscribers services. To this end, we use the parameter source . Let’s change the previous example source. Note that in the above code, we inform the parameter source that should be a direct link to the video.This video can be watched within Facebook itself. The URL defined in parameter link will open in a new window when you click the link in the post. This case will open the youtube page referring to video lesson. I think it is also a good investment that I will buy more youtube views from my videos soon. In the previous examples we have seen how to publish photos directly to the user profile. The photos will be published in an album that contains the same name as the application of facebook. However, you can specify the picture is published directly to a specific album. The first step is to have already created this album and be with his ID in hand. The line of code below is mandatory if you are uploading files for your application. For those unaware, is a fanpage created a custom page within facebook. Just visit the page, it is a way to promote your business, your company, products, bands, artists, etc. You can apply for business loan to start your own business, why not check here for more information. 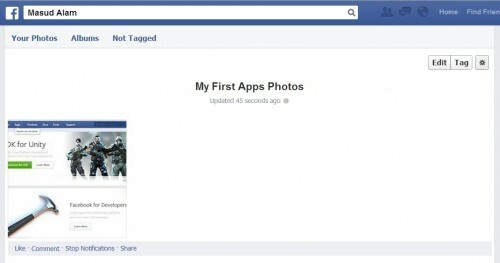 You can post photos directly through a fanpage on facebook application. The user should be used in the application administrator fanpage. Also it should allow the application post on your page by allowing manage_pages . Then get the access_token of the fanpage. We must inform the access_token at the time of publication of the picture. For the token, we need to inform the id of the fanpage. Yet another excellent post! Thank you so much!